Charlotte Stone Crabs pitcher Jeremy Hall winds up for a pitch, May 9, 2009. Hall threw a great game, striking out 8 before leaving in the 6th. 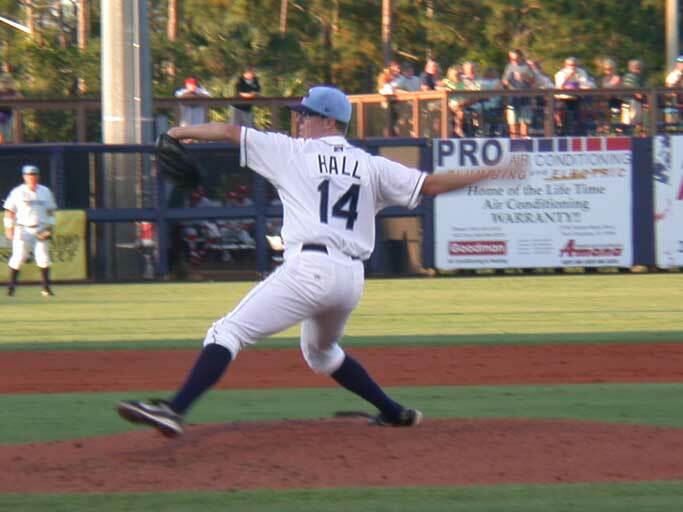 Hall is one of the pitchers responsible for the Crabs success.